Mr. Gillete is a twenty-seven year old man with the vision of direction in is eyes and posses passion in his heart. He is dedicated to bringing everyone he encounters motivation for success by first providing them with the key to happiness; loving oneself. He was born and raised in a small rural town in Northwestern Ohio known as Lima, while graduating from Elida High School home of the Bulldogs! However he currently resides in Dayton, Ohio. He has four younger siblings, a step-father and mother whom he adores and looks to as his personal motivation and hero! 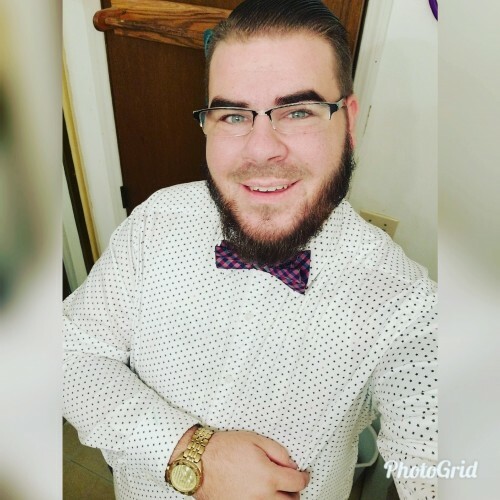 He obtained his certifications in Motivational Speaking and Life Coaching in October of 2014 and he couldn't be more excited to start this career path he has chosen. In March of 2015, he obtained his LLC for his business; Motivationally Speaking with Jordan Gillette, LLC! Jordan can bring high energy, laughter and undeniably one of a kind personality to any event or venue he goes to. He is the most dedicated to providing motivation, positivity and happiness to crowds of all ages. He firmly believes the world can be a better place if everyone did just one action of compassion a day. He inspires to be dominate like Kobe on the basketball floor, Einstein in the workshop and like Eric Thomas on the stage. His goal in life is to one day leave behind a legacy to where generations from years to come to not look back on what he has said, but what he has done to provide as many wonderful people as possible the opportunity to not only love theirselves but to have successful lives! Find out more about Jordan Gillette at http://www.facebook.com/msjgllc.